A Spousal Lifetime Access Trust (SLAT) is an incredibly powerful asset protection tool for married couples. Often touted as an estate tax planning tool, many overlook the general asset protection that a Spousal Lifetime Access Trust can provide. A Spousal Lifetime Access Trust (SLAT) is an irrevocable trust created an individual for the benefit of his or her spouse and children or other family members. We’ll use the terms “Trustmaker Spouse” to refer to the spouse establishing the SLAT and “Beneficiary Spouse” to refer to the spouse that is a beneficiary of the SLAT. A Spousal Lifetime Access Trust basically allows the Trustmaker Spouse to have their cake and eat it too. The Trustmaker Spouse is able to gain asset protection and tax advantages while still having indirect access to the trust assets through the Beneficiary Spouse. Depending upon the design of the SLAT, the Trustee may have discretion to only distribute income of the Trust to the Beneficiary Spouse or discretion to distribute both income and principal to the Beneficiary Spouse. The SLAT can include spending limits and instructions regarding what the trust assets can be spent on. The Trustee of the SLAT must be an independent trustee. Adult children may potentially serve as Trustee so long as there is a clearly defined, ascertainable standard for trust distributions. A Spousal Lifetime Access Trust (SLAT) can be a powerful asset protection tool to protect from potential claims of creditors and lawsuits. However, it’s important to understand that if a SLAT is established specifically for the purpose of avoiding an existing potential creditor, then the transfer of assets to the SLAT could be deemed a ‘fraudulent conveyance’ and the SLAT could be voided by the court system. As is generally the case with asset protection planning, these tools need to be established before there is a known issue on the horizon. For professionals such as physicians, dentists, lawyers, or similar, malpractice liability can arise at any time due mistake. Thus, one approach is to use a series of SLATs over time. If a potential claim or lawsuit arises, this reduces the risk of all of the SLATs being challenged as fraudulent conveyances and only transfers to a SLAT after the liability-causing event would be at risk. If the SLAT is being used primarily for asset protection purposes and not for tax planning purposes, then the SLAT can provide that if the Beneficiary Spouse dies, the trust assets flow to a new trust for the benefit of the original Trustmaker Spouse. The Trustee can then make distributions directly to the Trustmaker Spouse while the assets are still protected from the Trustmaker Spouse’s lawsuits and creditors. For couples with an estate that is expected to continue to grow in value, a Spousal Lifetime Access Trust (SLAT) can be an effective tool for “freezing” the value of the SLAT assets for estate tax purposes. If the SLAT is being used for estate tax purposes, it will be designed such that the transfer of the assets to the SLAT constitutes a gift for gift tax purposes. Generally, this gift will be under the allowable gift and estate tax exemption (the amount that you can transfer free of gift or estate tax), so while a gift tax return may have to be filed, no actual gift tax will be due. Think of the gift and estate tax exemption like a coupon—Because the Trustmaker Spouse already used his or her ‘coupon’ to pay the tax when the SLAT was established, the SLAT will not be subject to estate taxes again when the Trustmaker Spouse dies. SLATs can also be a great planning tool if one spouse is not a U.S. Citizen since the estate tax exemptions work differently for a non-citizen spouse. The SLAT may also be designed such that for income tax purposes, any income of the trust is still taxed to the Trustmaker Spouse. This helps keep the income tax returns simpler and potentially further reduces the size of the Trustmaker Spouse’s taxable estate. Alternately, if the SLAT is designed such that the trust will report its own income, by carefully choosing the jurisdiction of the trust (i.e., you get to pick what state laws it operates under), you can select a state that does not have an income tax, thus saving state income tax on income. A major risk of using a Spousal Lifetime Access Trust (SLAT) is if the couple later divorces. In the event of a divorce, the Beneficiary Spouse would continue to be a beneficiary of the SLAT and the Trustmaker Spouse would lose his or her indirect access to the SLAT (through the Beneficiary Spouse). A SLAT can be carefully drafted to provide that divorce ends the Beneficiary Spouse’s interest in the trust and that any future “spouse” becomes a beneficiary of the Trust. In the absence of a prenuptial agreement or postnuptial agreement, the SLAT assets may still be considered marital property for purposes of the divorce and division of assets. A SLAT can be drafted to include a “swap power” which gives some flexibility during a divorce to swap assets with those in the SLAT so long as they are of equivalent value. SLATs must also be funded with separate property rather than joint property. In other words, prior to transferring an asset to the SLAT, the asset must solely be titled to the Trustmaker Spouse. If the asset is titled jointly to both the Trustmaker Spouse and the Beneficiary Spouse at the time of transfer to the SLAT, then the asset protection goals could be defeated as the trust would be considered a “self-settled” trust that does not qualify for asset protection. Another risk of a SLAT is the Reciprocal Trust Doctrine. The courts and IRS have long been aware of married couples using different forms of trusts for tax planning purposes, which is how the Reciprocal Trust Doctrine came into being. Basically, the Reciprocal Trust Doctrine states that if each spouse of a married couple creates a trust for the benefit of the other that is essentially a mirror image then the trusts will be ignored, and the potential tax benefits of the trusts will be void. If both spouses want to establish Spousal Lifetime Access Trusts, they may do so, but each of the SLATs must be sufficiently different from one another so they don’t fall victim to the Reciprocal Trust Doctrine. Finally, if the Beneficiary Spouse dies before the Trustmaker Spouse and the SLAT was designed for tax planning purposes, then the Trustmaker Spouse will no longer have indirect access to the trust assets through the Beneficiary Spouse. In most SLATs, upon the death of the Beneficiary Spouse, the children or other family members become the beneficiaries of the SLAT. The SLAT can be used to pay for education, weddings, and similar for your children or family members. Potentially you can have indirect access to the SLAT through your children or beneficiaries, but you and your children will need to be mindful of potential gift tax consequences. The couple might also opt to incorporate life insurance planning with the SLAT to ensure that if the Beneficiary Spouse dies first, the Trustmaker Spouse will receive sufficient life insurance proceeds so support lifestyle needs thereby replacing the need to have (indirect) access to the SLAT assets. Estate and gift tax benefits—the SLAT “freezes” the value of the assets for estate and gift tax purposes while also locking in the estate and gift tax exemption which could be reduced by Congress in the future. 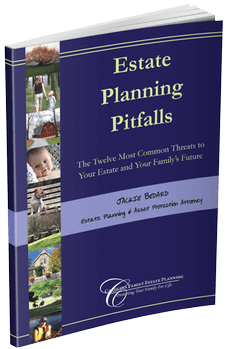 Future growth of the assets remains sheltered from future estate tax when the Trustmaker Spouse and Beneficiary Spouse die. Reducing future conflict in the event of a divorce. If each spouse forms a SLAT for the other spouse while the marriage is healthy, there will be less potential disputes if the marriage is dissolved in the future. Other family members can also be beneficiaries of the SLAT. If the Beneficiary Spouse dies, the SLAT assets are immediately available to provide for descendants without having to wait for probate or other estate issues. If the Trustmaker Spouse dies, the SLAT assets remain separate from the Beneficiary Spouse’s assets and continue to be protected. A SLAT can be used to avoid state income taxes. A SLAT can be designed with bloodline protection to keep assets in the family. A SLAT can serve as a Dynasty Trust that passes assets down to children and grandchildren protected from future lawsuits, creditors, and divorce. Once assets have been transferred to the SLAT, the Trustmaker Spouse cannot take them back (unless the Beneficiary Spouse voluntarily shares trust distributions with the Trustmaker Spouse). Depending on how the SLAT was drafted and the definition of “spouse”, if the couple divorces, the Beneficiary Spouse may still continue to be a beneficiary of the SLAT. If both spouses wish to create a SLAT, then the trusts will need to be carefully designed to avoid the IRS’s Reciprocal Trust Doctrine. If the Beneficiary Spouse dies first, the Trustmaker Spouse loses indirect access to the SLAT through the Beneficiary Spouse. This can potentially be mitigated by incorporating proper life insurance planning. The laws can change with time, so it is always possible that some of the benefits of a SLAT could be stripped by future law changes.